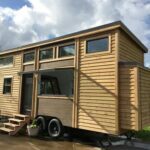 Shantel & Nathan Wahl hired Mint Tiny Homes to build their custom 24′ tiny house on wheels so they could begin their tiny living journey. 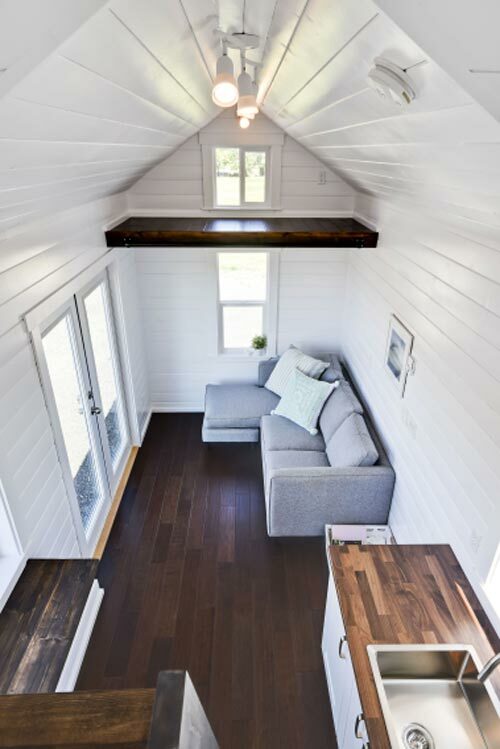 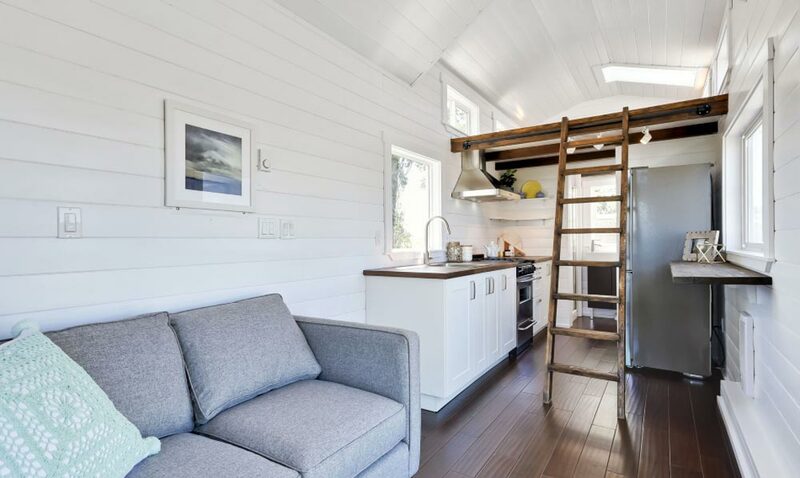 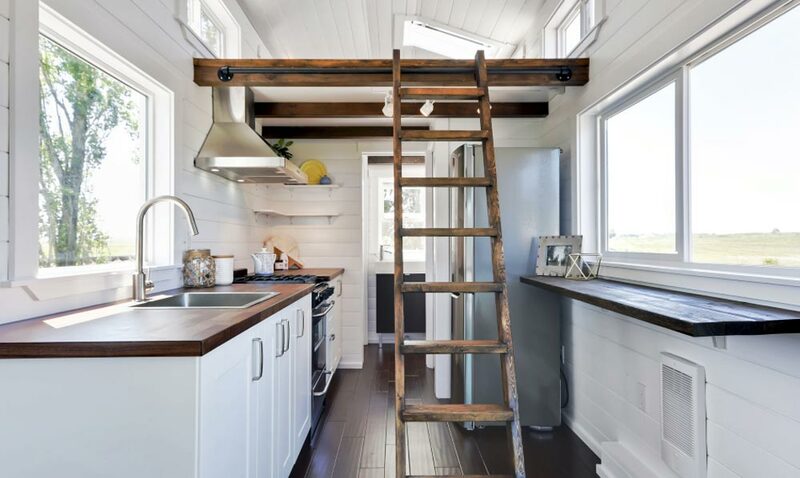 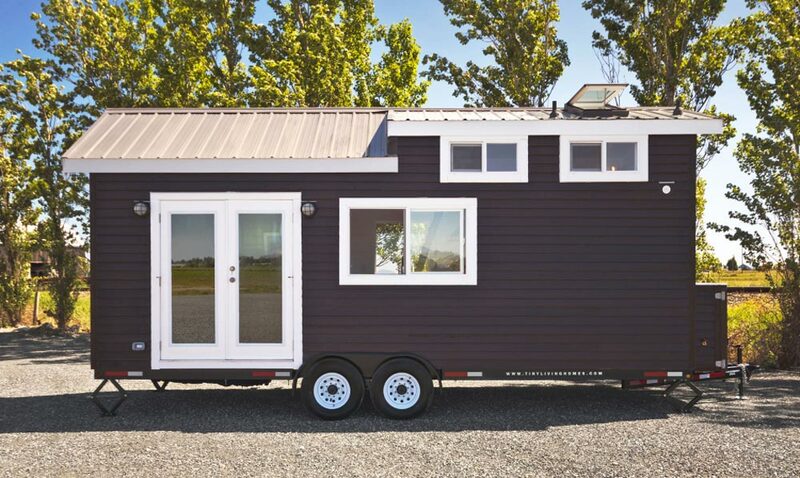 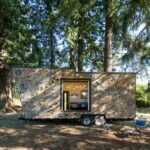 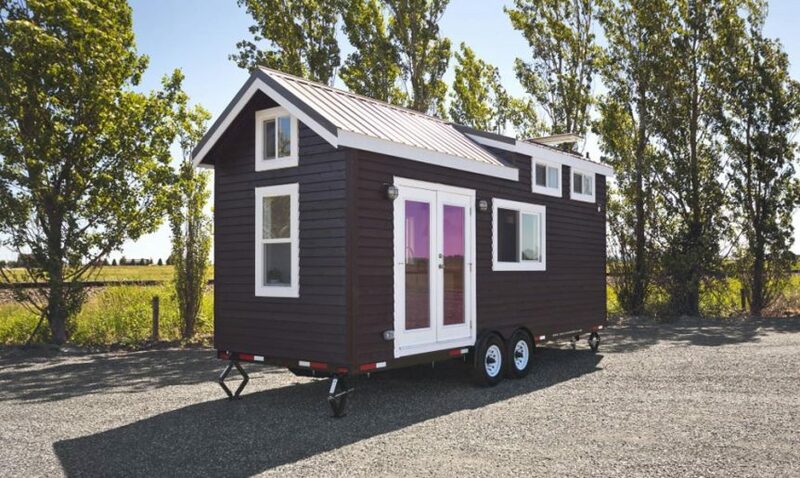 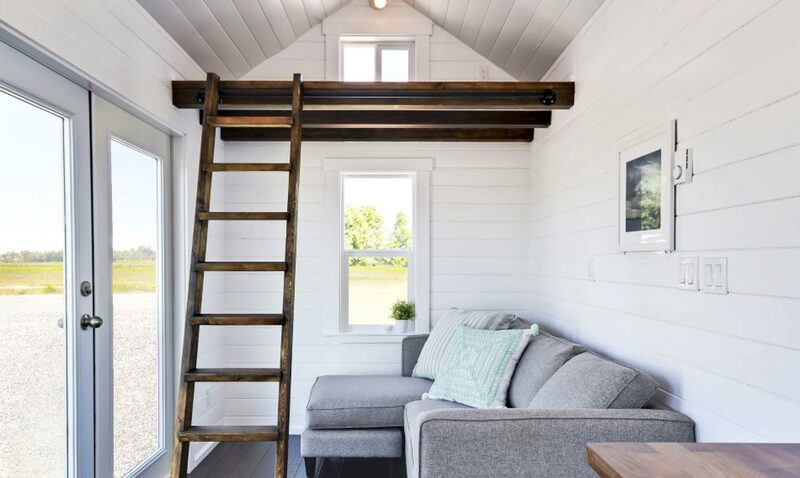 The 291-square-foot tiny house includes a 9’x7′ bedroom loft above the kitchen and bath and a 3’x8′ storage loft above the living room. 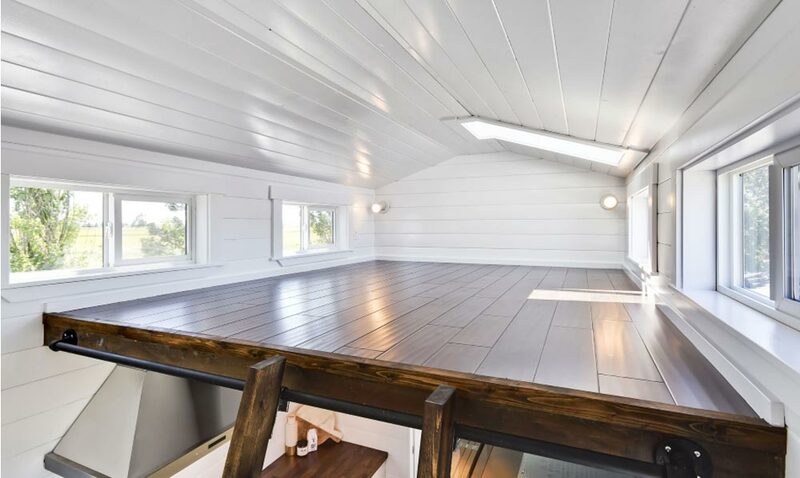 A skylight in the bedroom loft works out perfectly so Nathan can sit upright without hitting his head. 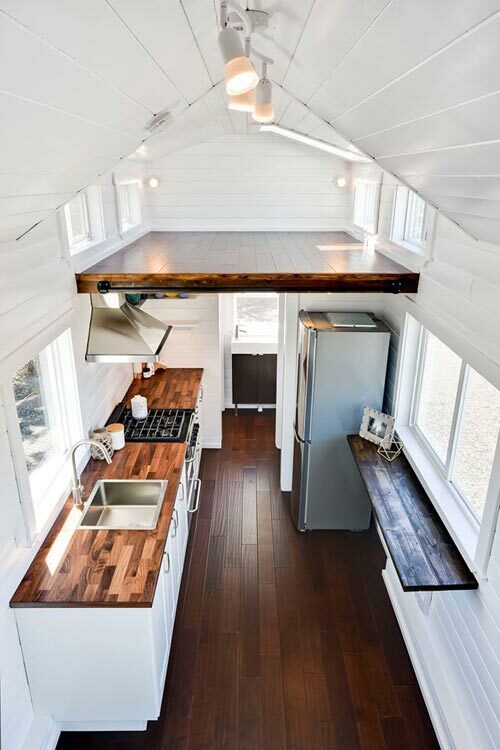 The galley style kitchen features a freestanding range and 10.1 cubic foot refrigerator. 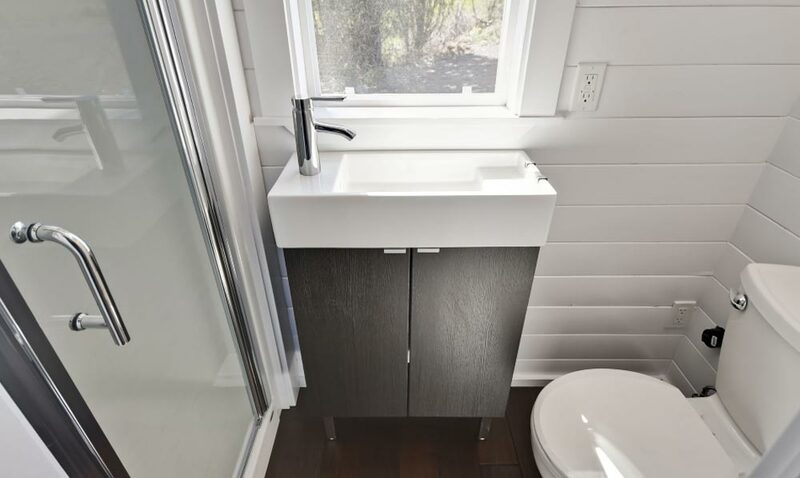 Also included is a bar style folding table, pullout trash can, and pantry. 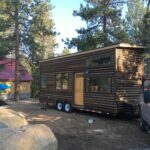 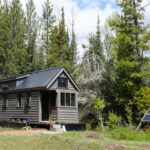 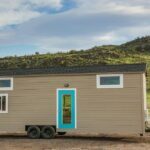 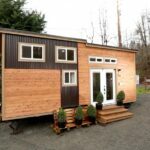 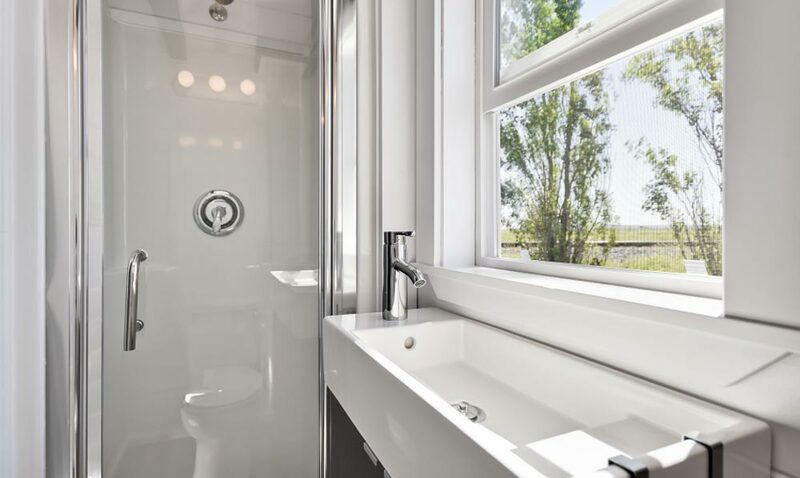 You can follow the Wahls on their blog, JUST WAHLS, and visit the builder’s website at Mint Tiny Homes.